Merchants Bonding Company Foundation is proud to support the Blue Angels Foundation with a $10,000 donation. The Blue Angels Foundation, run by former military men and women along with volunteers, has been providing support for our military men and women for the past five years. The organization was an Exhibitor at the National Association of Surety Bond Producers (NASBP) Annual Meeting and encouraged NASBP members to help veterans as they transition back into private sector employment. 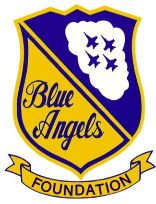 The Blue Angels Foundation is currently working to support the Research and Recognition Project. The Research and Recognition Project focuses on providing more effective Posttraumatic Stress (PTS) treatment techniques through a promising new drug-free, cognitive therapy treatment involving reconsolidation of traumatic memories. The Blue Angels Foundation is raising money to allow veterans to undergo the new treatment as part of a clinical analysis, and Merchants' donation will help make the analysis possible.